It's Not Work, It's Gardening! 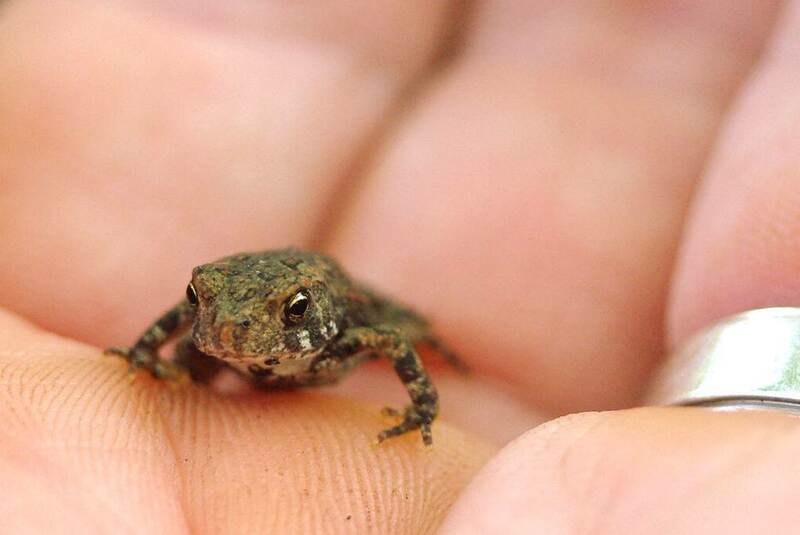 : Hello tiny toads! 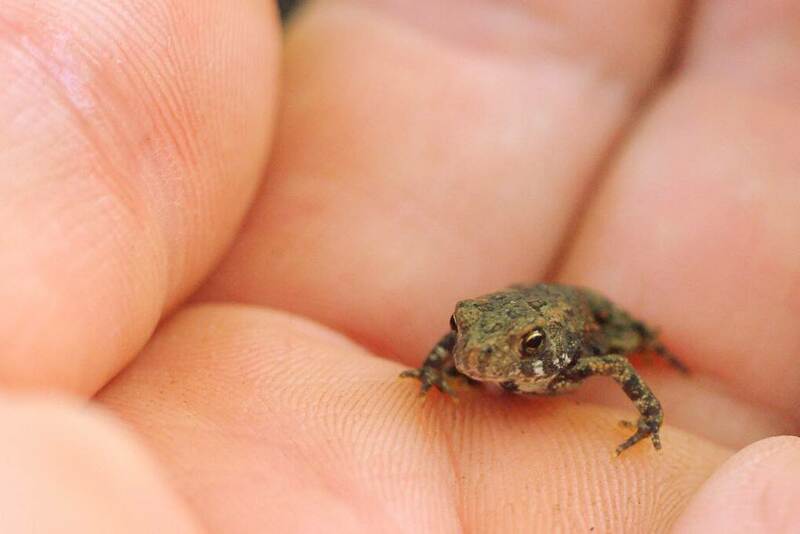 A couple of months ago when I saw the first batch of tadpoles in the pond, I was very excited. Then when they grew legs and started leaving the water, I became nervous. 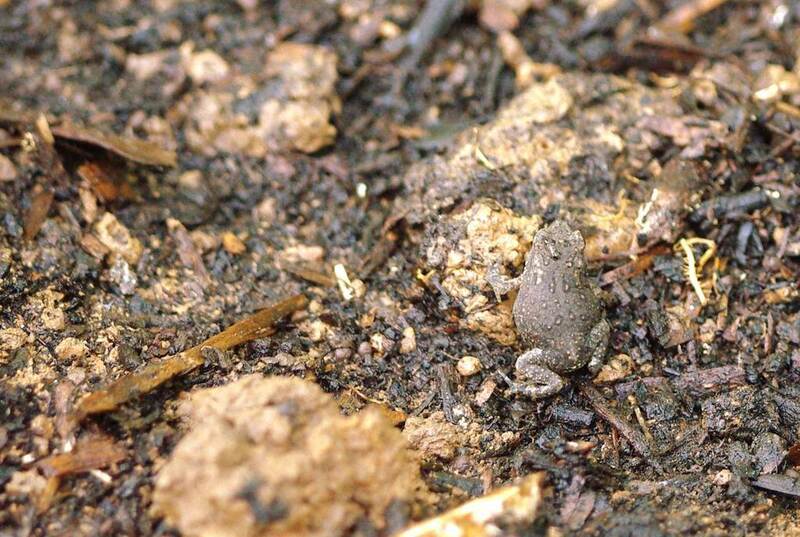 If there are tiny toads all over the yard, aren't I going to step on them? Aren't they going to get mowed? Well, maybe. It's a game of numbers though: produce as many offspring as possible, and although many will be lost, some will survive. I've been finding these little guys everywhere. The chubby one in the image above was not cooperating and kept hopping away. 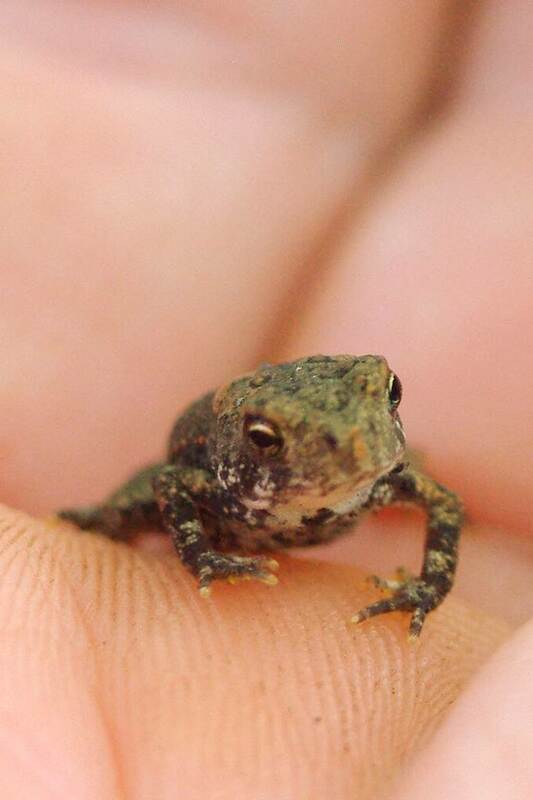 I see several of these toadlets everywhere, even at the front of the house -- which is miles away from the pond for these little ones. To think that there's another brood of tadpoles in the pond right now... that's going to be a lot of toadlings hopping around! I'm glad to have them though. Maybe I'll get patient or lucky and catch some shots of one of these little guys eating some day soon. 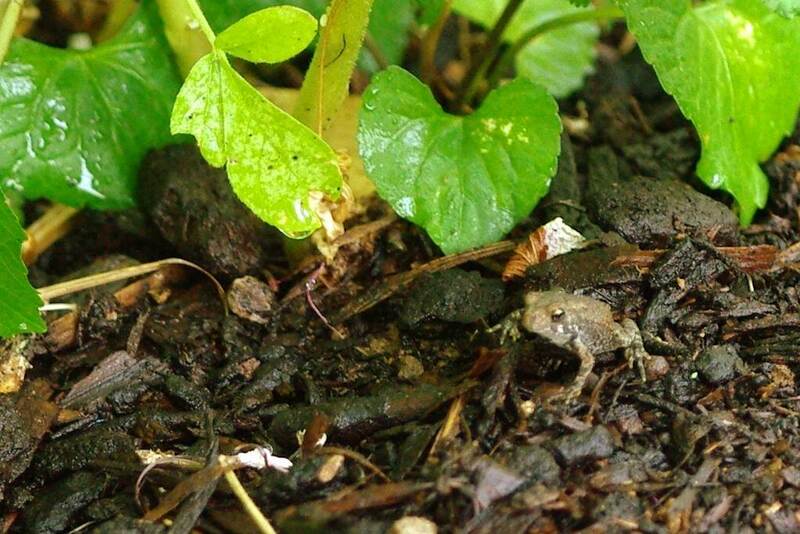 That's the benefit of toads: they eat bugs! Mine are still just tadpoles and all ready I'm worried about mowing the little lawn. When I lived in Illinois, we had them by the thousands each spring. 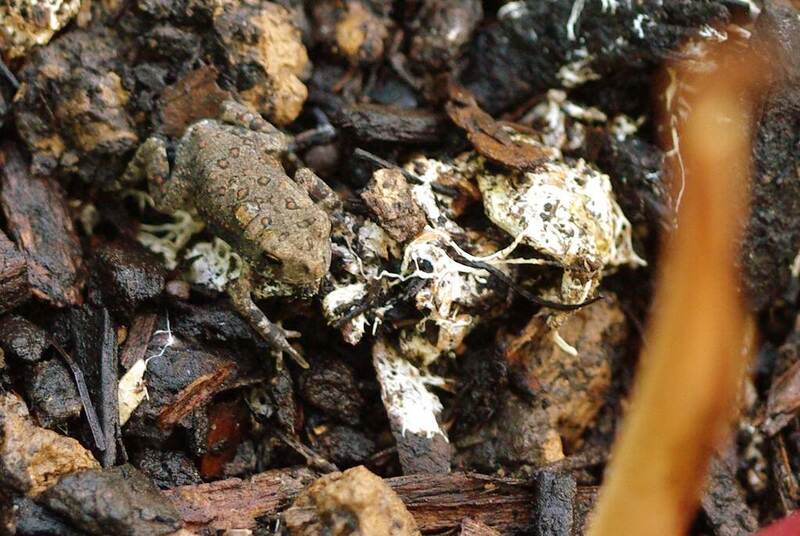 Imagine my surprise watching my son (13 at the time) stop the mower every few minutes to pick up toads and move them to my garden. He never seemed to tire of this, and I'm sure there were many grateful toad(lets) out there.